Former Nigerian president Olusegun Obasanjo has said that there was some good in United States President Donald Trump’s election because “the fact that America can produce a Trump in this day and age, it means Americans are as human as we are”, adding that Trump has come so America can be humbled. Obasanjo made the tongue-in-cheek comment to guests at a French Embassy event in Pretoria on Wednesday night at the launch of the French version of his book, Making Africa Work, co-authored by writer Greg Mills, who was also at the event. “I am very happy with what is happening in America,” Obasanjo said, in response to a question about how Africa could use a possible re-alignment in world politics to emerge as a player solving its own problems. “I am not justifying what African leaders are doing. If our leaders are doing wrong, we should say they are doing wrong,” he said, but, he added, “Trump has come so that America can be humbled, and we can also learn that lesson”. Obasanjo said people kept on telling him that Trump wasn’t saying “anything much” about Africa in terms of the US policy, but that was a good thing for Africa. “The time has come that we should be the agent of our own fortune, and we are not as weak as we think we are,” he said. Obasanjo said an investigation by former president Thabo Mbeki showed there was $50 billion of illicit financial outflows from Africa. The continent had resources for development, something that was addressed by Mills in the book. 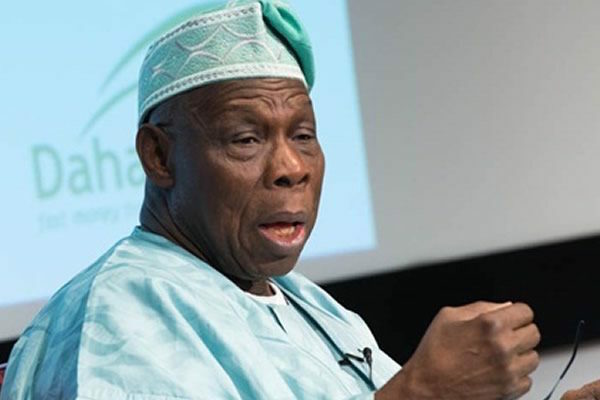 Obasanjo said this didn’t mean that the continent didn’t need direct foreign investment – African governments needed to create a conducive environment for this, he said. He said what was needed was “a critical mass” of leaders “that will be responsive for a particular programme either at regional or continental level”. Obasanjo added he hoped the African passport launched at the African Union summit in Kigali, Rwanda a year ago would become a reality soon.